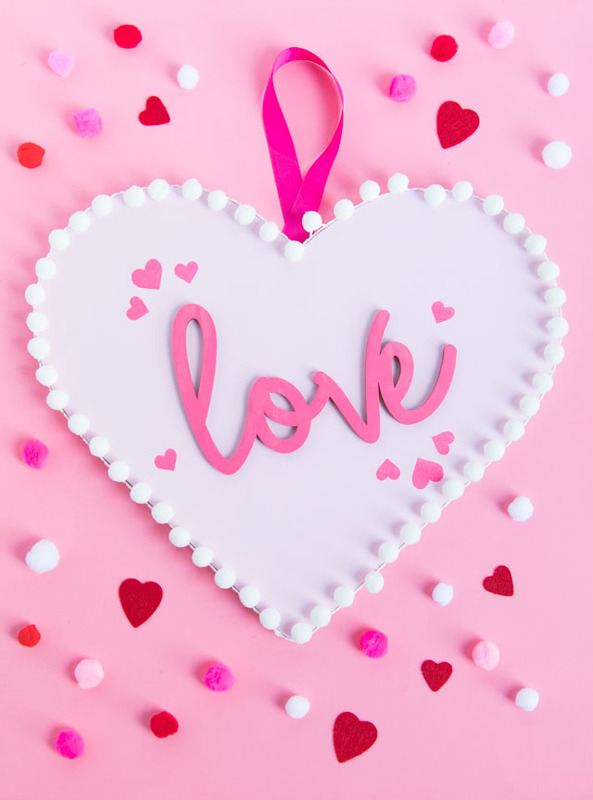 Just when I thought I was done with Valentine’s Day crafts, I’ve come up with one more idea. 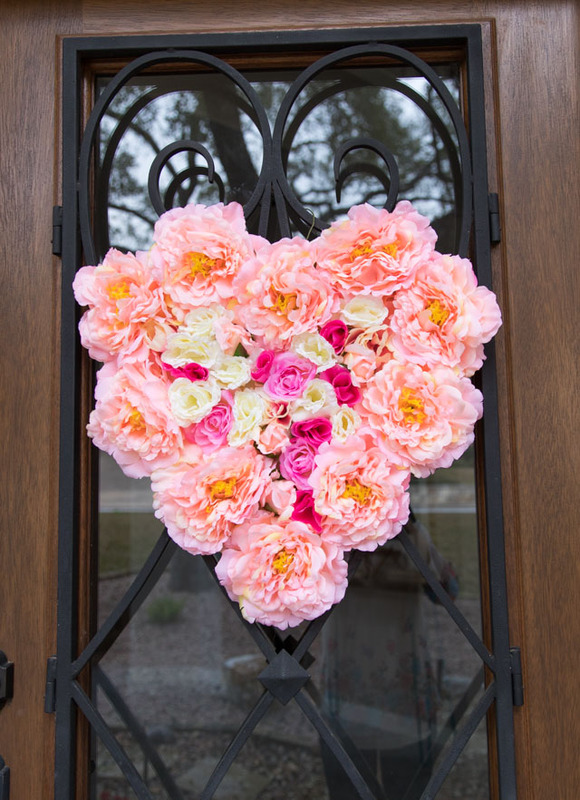 🙂 Yesterday, I hung this giant floral heart on our front door, and what an impact it makes! It came together in minutes with just a piece of foam core and a variety of faux flowers that I had left over from other projects. 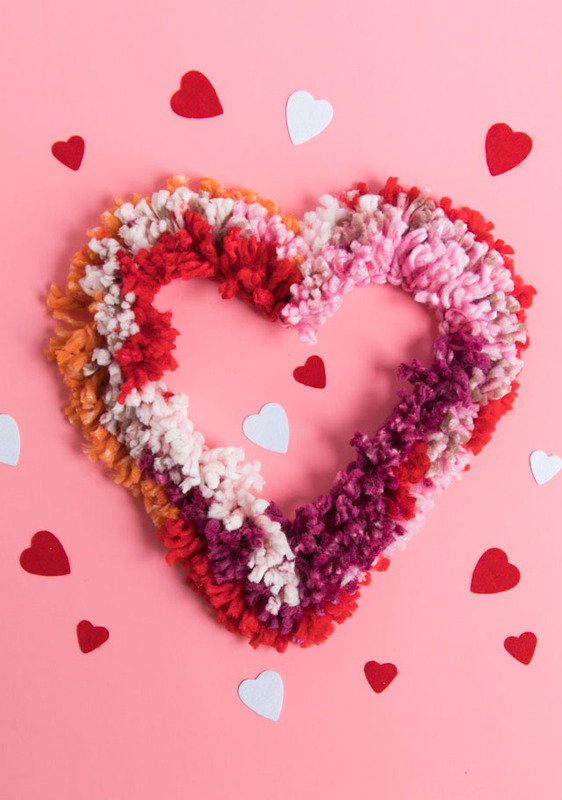 Valentine’s Day may only be a week a way, but you still have plenty of time to make this pretty wreath for your front door! This project is all about maximizing what you have on hand. For the heart base I used an old piece of foam core that I typically shoot my projects on (like the white background in the above photo). However, a sturdy piece of cardboard would work just as well. For the flowers, I used a hodgepodge of flowers that I had left over from other projects rather than buy new ones. You can find inexpensive faux flowers at the dollar store or by waiting until they are 50% off at the craft store! 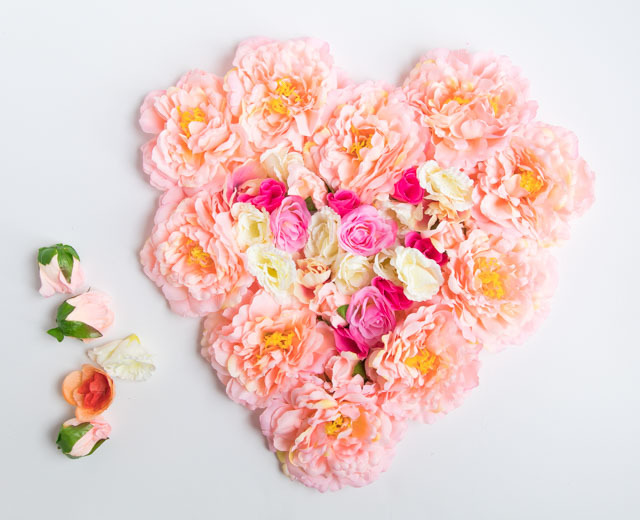 The trick to creating an eye-catching heart is to stay within a complementary color palette. I like this combination of salmon colored peonies with pink and white roses in the center. You can use larger flowers along the outside and smaller in the middle like I did to create another cool effect. However, there are so many ways to improvise on this idea, so have fun making it your own! 1. 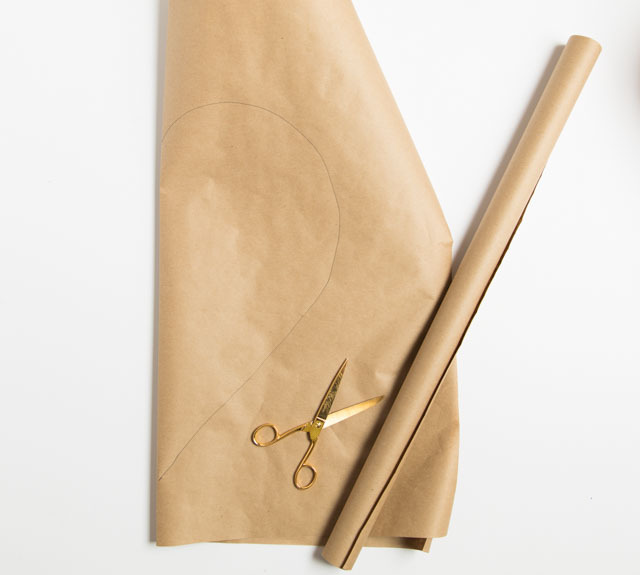 Create a heart template using a piece of wrapping paper. I used the trick of folding the paper in half to create a symmetrical heart. 2. 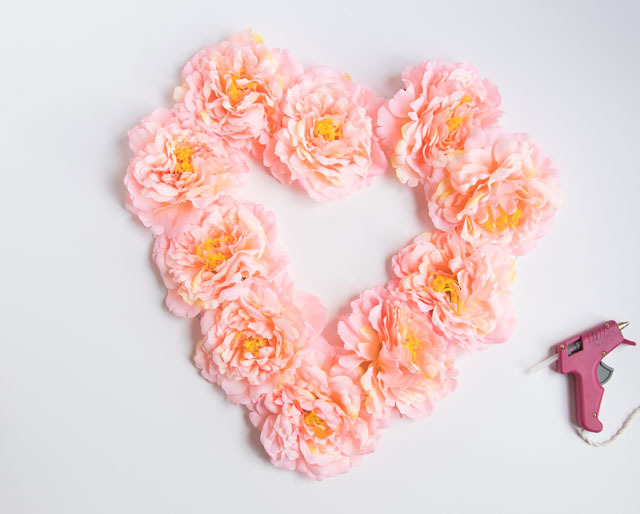 Cut out your heart template with a pair of scissors and hold it up to your door (or wherever you plan to hang the wreath) to make sure it is the right size. 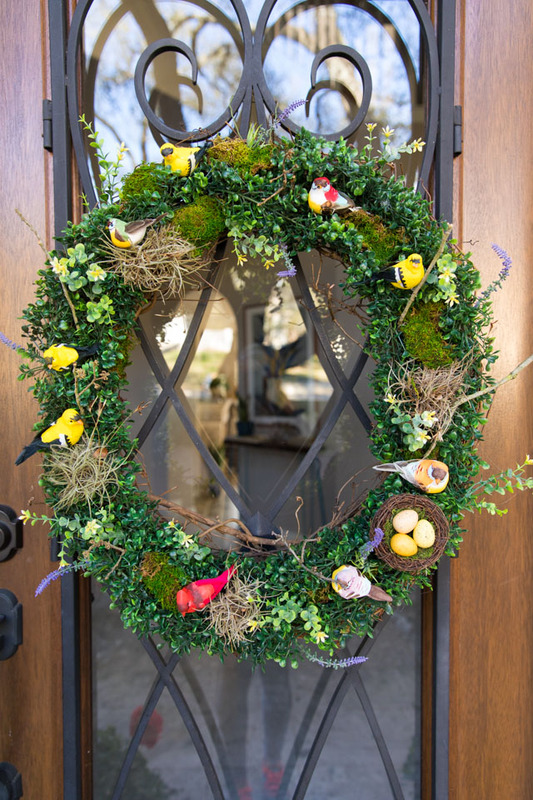 When it comes to wreaths for your front door, I say the bigger the better to make a big impact! 3. 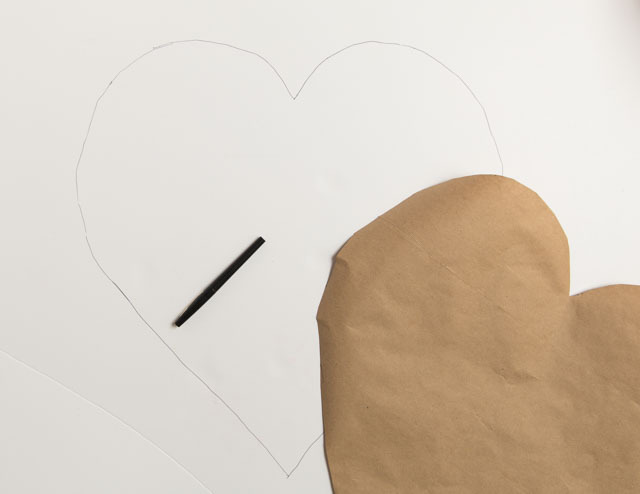 Place your heart template on the foam core or cardboard and trace around it. 4. 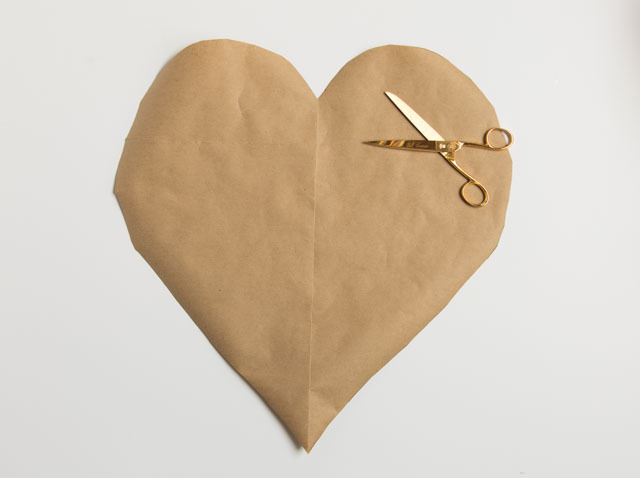 Use a craft knife to carefully cut out the heart shape. You will want to protect your surface underneath the cutting area. 5. If needed, cut your flowers from their stems using wire cutters. 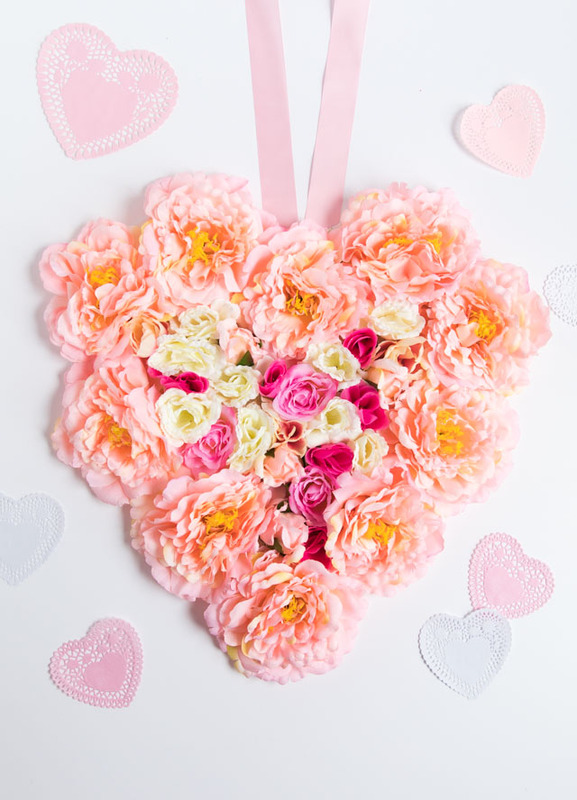 Arrange your flowers around the heart to achieve the look you want before gluing them on with a generous amount of hot glue on the back of each. 6. 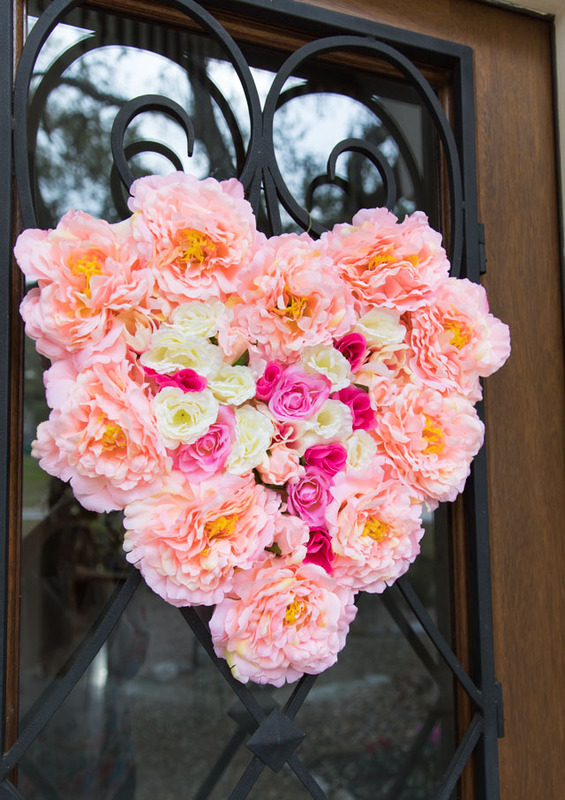 Fill in the center of the heart with additional flowers to complete your wreath! To hang my wreath, I punched a hole in the top of the foam core and threaded a floral wire through it to wrap around the ironwork on my front door. 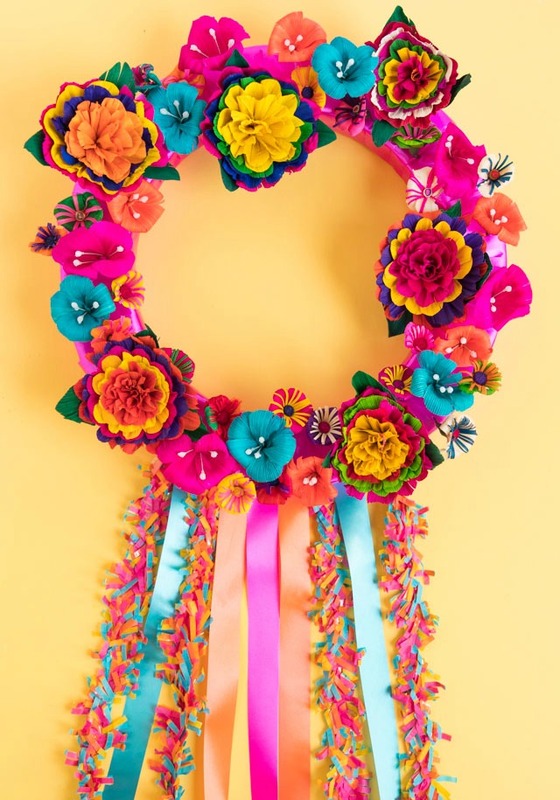 You could also glue a pretty ribbon to the back, or add 3M Command Strips to hang it with. Enjoy!